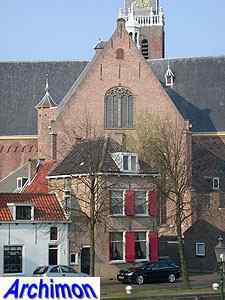 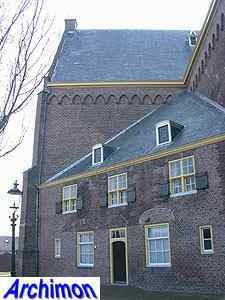 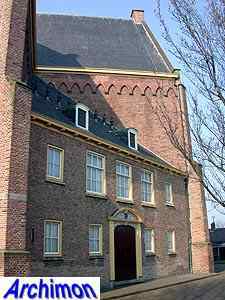 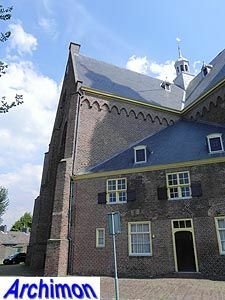 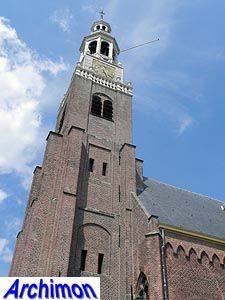 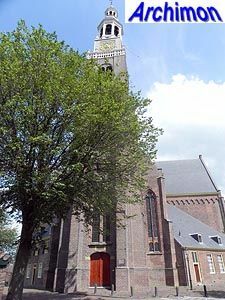 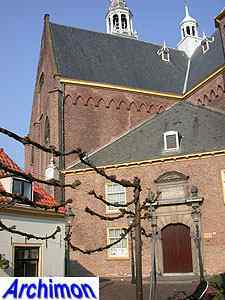 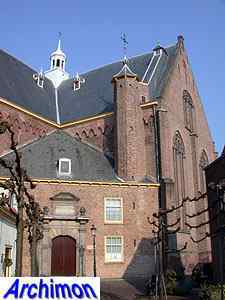 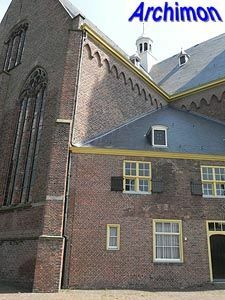 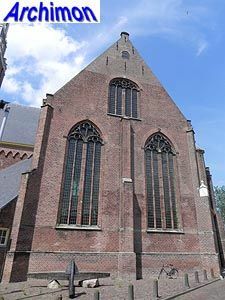 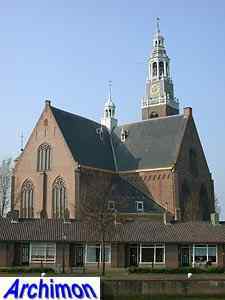 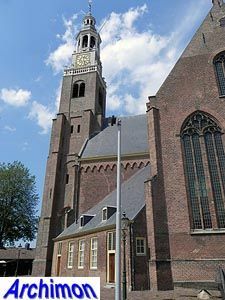 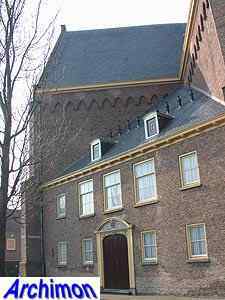 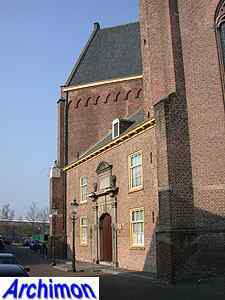 The Great Church of Maassluis was built from 1629 until 1639 and is one of the oldest in the country that were specifically built for protestant use. 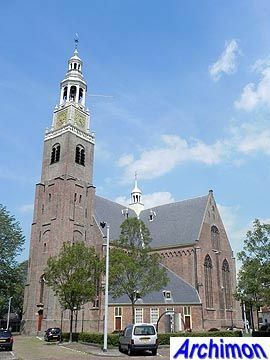 Like several other churches from that period, it was modelled after the design of the Noorderkerk in Amsterdam which was built a few years earlier. 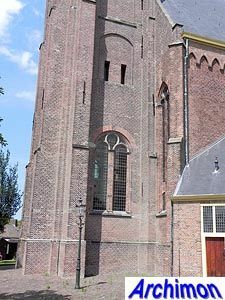 However, there aren't many similarities between the two, except for the centralizing ground-plan based on a Greek cross with additional spaces filling the corners between the arms. 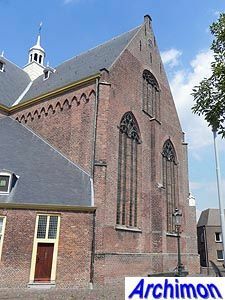 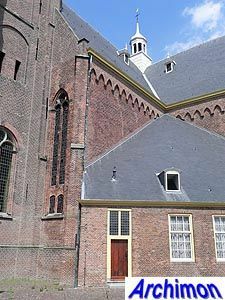 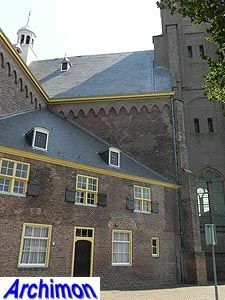 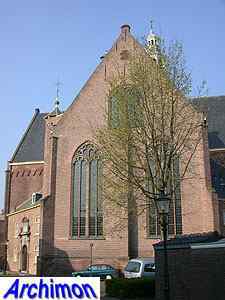 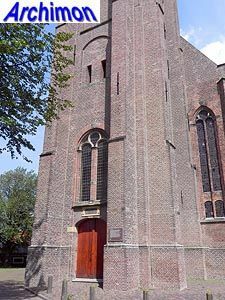 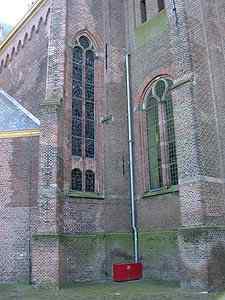 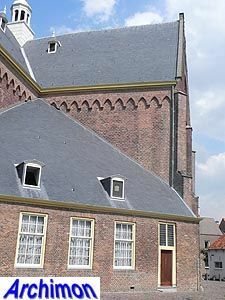 While the Amsterdam example was entirely built in the then modern manneristic style, the church in Maassluis shows influences of Gothicism as well, with stepped buttresses and pointed windows with intricate traceries. 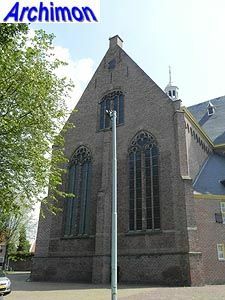 Originally the church had a big crossing-tower, but when this turned out to be too heavy for the construction, it was replaced by a smaller one. 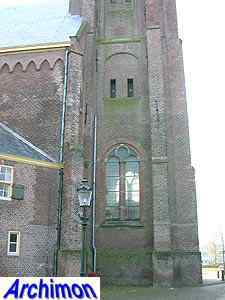 To replace the monumental crossing-tower a tall west-tower was built, designed by Arent van 's Gravesande.